Raised in Lexington, Kentucky, Brian Littrell was brought up attending a Baptist church with his family. At age 18, through his cousin Kevin Richardson, he relocated to Orlando, Florida and became part of pop super-group Backstreet Boys. Their album (Millennium) broke the record for most sales in the first week - previously held by Garth Brooks - by selling over 1 million copies in the USA alone. He began singing as a child in his Baptist church and attended Tates Creek High School in Lexington. An outspoken Christian, Littrell has stated that he believes it is the duty of Christians to be open about their faith, saying, "I think as Christians we need to join hands and mount up together and lift God up and talk about our faith publicly and talk about all of the things God has done for us in our life to touch other people." Littrell, who has been a Born Again Christian since age 8, has said that he attributes his success in life to God, and that his faith has always been "the utmost important thing" in his life. Thirteen years, multiple worldwide sold-out tours, countless awards and more than 76 million albums later Brian decided to make a Christian album and become a contemporary Christian singer, while maintaining his duties as the lead singer of the Backstreet Boys. 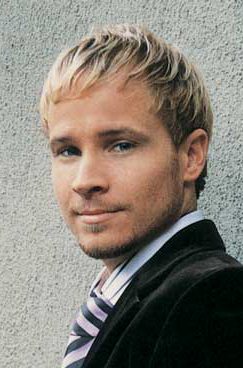 In the summer of 2005 Brian's solo single "In Christ Alone" went to #1 on the Christian Charts on July 4th and Littrell was the winner of the 2006 GMA Music Award for Inspirational Recorded Song of the Year, "In Christ Alone," which won both the 1993 award in this category (when recorded by Michael English) and the 1994 Song of the Year at the GMA Music Awards. 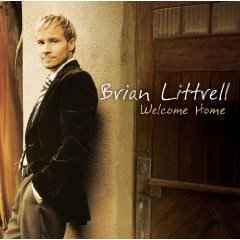 Brian's first solo album, Welcome Home (You) was released on May 2, 2006, which like the Backstreet Boys projects, is a Sony BMG release. The album peaked at #74 on the Billboard 200 and #3 on the Christian Charts, and has currently sold over 100,000 copies. On September 27, 2006, Brian Littrel shared his testimony and performed at the Crystal Cathedral. The service was broadcast around the world on the Hour of Power television program and seen by an estimated 20 million viewers. On May 10, 2007 Littrel received an award from the Crystal Cathedral for being a positive role model using his music to touch lives in the pop and Christian market, and using his foundation to help children.